In the beginning there was a dream, a dream to hang a Chinese mast on an almost invisible line, a wire, and let it sway. 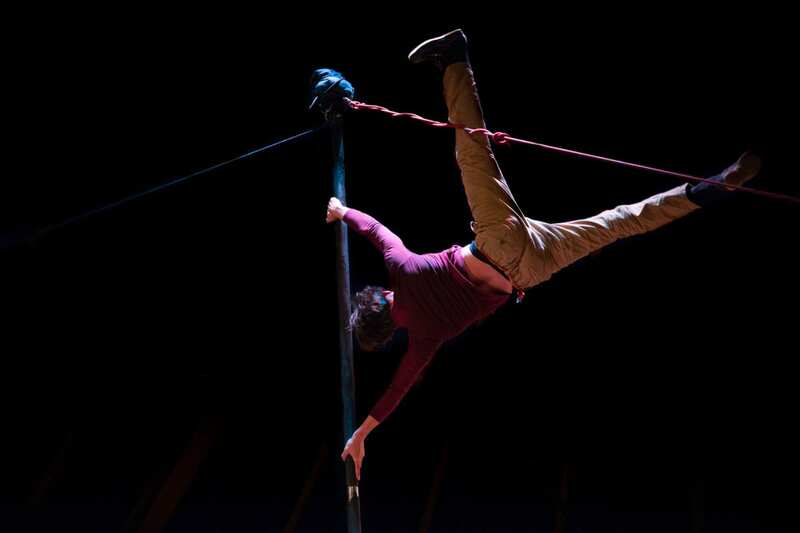 Inclined to control his body and take risks, the young circus artist Nicolas Fraiseau undertakes a balancing act with a mast for a horizon. Without guy-wires or any fixed grips at first, the mast is as unstable as the artist is, forcing him to find stability – an anchor, a center – within himself. As the artist tries to pull himself up any way he can, the show radiates power through the fragility and limits of the human condition. home in residence in Mimulus Fresnay-en-Sarthe and Cirk’Eole. He took the royal road for his training: École Nationale des Arts du Cirque du Rosny-sous-Bois (ENACR) and Centre National des Arts du Cirque (CNAC) de Châlons-en-Champagne (28th graduating class). In 2013 he took part in PATT (Performance Artistique Tout Terrain) by Cyrille Musy’s Kiaï company, and Coma idyllique by the CNAC’s 28th graduating class, at the CIRCa festival. In 2015 he reprised his role in the Kiaï company’s Cri. In 2017 he took part in Vanavara, the graduation performance by the CNAC’s 28th graduating class. 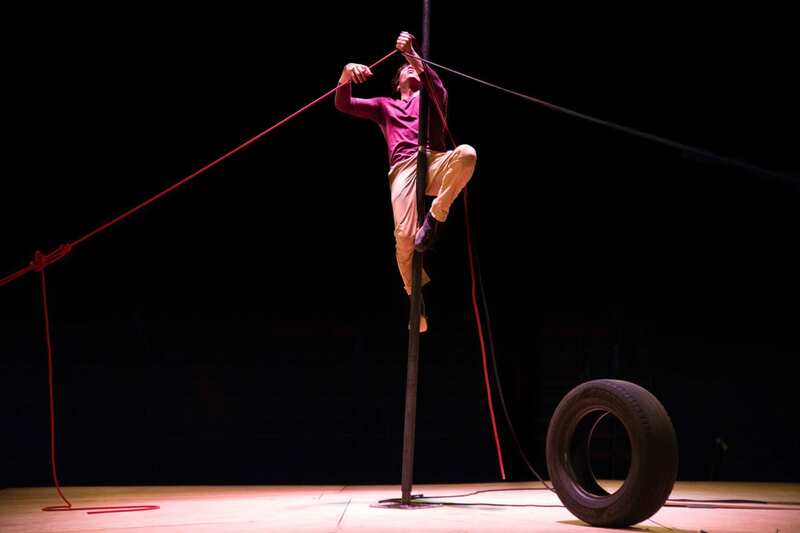 In 2018 he performed in the premiere of Kafka dans les villes, an opera-theater-circus piece directed by Frédérique Lolliée and Elise Vigier (theater portion) and Gaëtan Levêque (circus portion). In October 2017 he began a new adventure: creating his own show, Instable, with Christophe Huysman. After studying at Conservatoire de Roubaix and Conservatoire national de Paris (CNSAD), he put on several pieces by Philippe Minyana (Les Guerriers, Où vas-tu Jérémie, Habitations, Cri et Ga cherchent la paix, etc.) and shows by Georges Aperghis (Commentaires and Jojo), and worked as a theater and film actor under the direction of Georges Aperghis, Tilly, Robert Cantarella, Edith Scob, Christian Schiaretti, Peter Etvös, Jean-Luc Lagarce, etc. In April 1995 he founded Compagnie Les Hommes penchés, which he has directed since then. 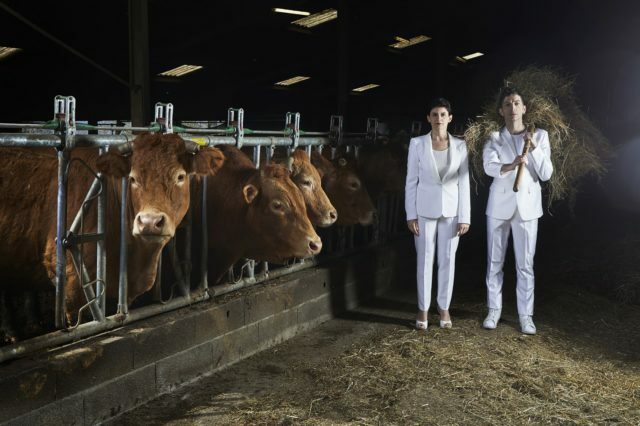 In 2000, Laboratoire mobile de création came into being, bringing together numerous artists for long- or short-term projects (artistic and technical mentoring, software creation, in-situ training, productions, etc.). His meeting with the circus world opened a new connection with the theater and led to the creation of Espèces, pièce de cirque (La Villette, 2004) and HUMAN articulations (Festival d’Avignon, 2006), which are probably the smoothest blend of circus and theater in the history of contemporary circus. With Le Mâtitube, pièce tout terrain in 2008, he worked on an animate traveling object that talks, a gueuloir that moves for 3 angry men. 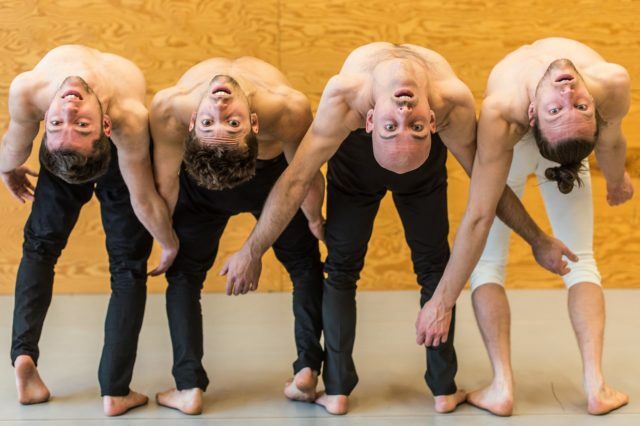 He developed Contes Tordus in 2011, which he danced as a duet with Julie Nioche, and directed Sylvain Decure in Demain, je ne sais plus rien in 2010. With Tetrakaï in 2013-14, he directed, with the Hommes penchés, the performance put on by the CNAC’s 25th graduating class.